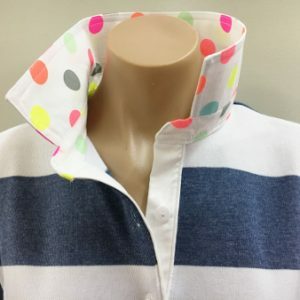 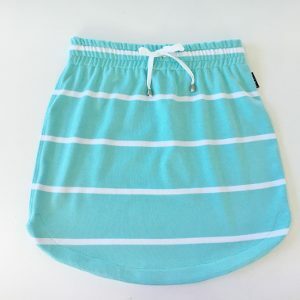 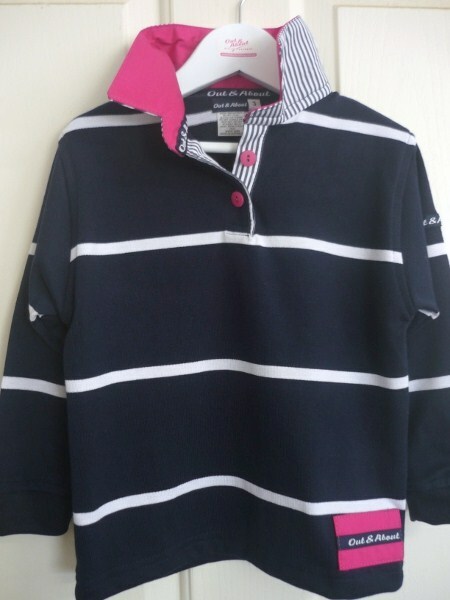 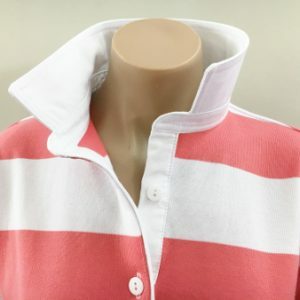 Kids navy & white stripe rugby with hot pink on the top of the collar. 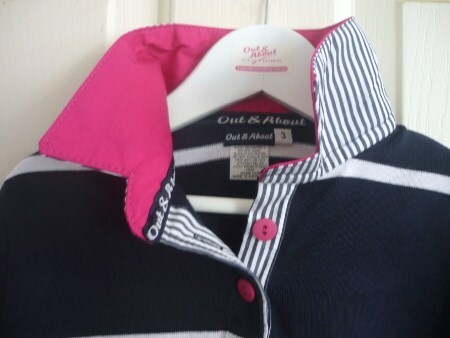 Thin navy stripe tab and back of the collar. 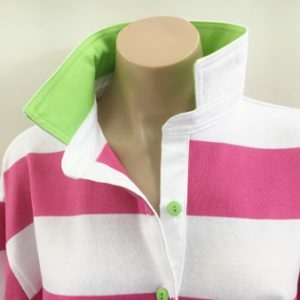 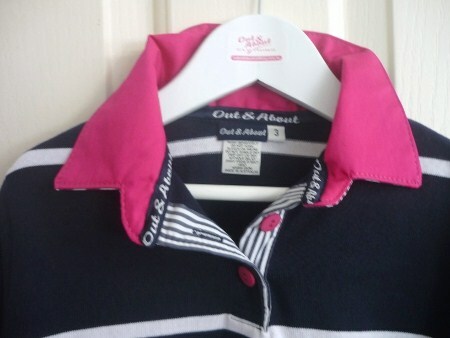 Hot pink buttons and Out & About tape around the neck edge.